All day yesterday I resisted a powerful urge in my right shoulder to throw something, something soft, like eggs, or words, though something hard might be even more satisfying. I have several targets in mind: The universe, for its random injustice, dishing out a fresh new cancer hell for my friend who has already had more than her share. The power-hungry, determined to remove from their path all with human instincts. The sociopathic entity that is corporate capitalism. The enablers among us, enabling the self-absorbed to continue on their path of destruction. (Yes, I’ve been guilty at times.) Those determined to silence others when it meets their need. Those determined to keep the rest of us a little off balance, unsure of their worth, floundering—even, so often, in the name of love. Restoring to balance the give-and-take in our interactions is crucial to our personal well-being, and to the health of our relationships. We speak and listen, offer and receive empathy, lead and follow. When our needs conflict directly, we compromise and take turns deferring to each other. And when the scales of giving and receiving are tipped for too long in one direction (the exception being the parent/child relationship), it severely damages the fabric of the thing. Now that I’ve started this line of thought though, I see that the current impulsive ache in my shoulder is pointless: the targets I have in mind are too numerous, and too powerful. The universe simply holds trump cards we don’t, and the other targets, the human ones, they wouldn’t in a million years get the message or change a thing about their way of being. The action of hurling something their way would simply once again underscore their right to victimhood, and my satisfaction would be fleeting. Something more constructive perhaps? Like simply refusing to be silenced? Like refusing to believe others have the power to defeat us, and persevering with our goals and desires in spite of the craters in the ground when the floor falls away? And when those who insist on nothing but silent acquiescence finally sever the relationship in response to our refusal to be silenced, it is perhaps a gift. A gift wrapped in loss, but a gift nonetheless. I’ve been reminded, not just cerebrally, but in the shape of deeper knowing and experience, that spring is a most glorious gift. And that it often comes on the heels of deep, deep sleep. And sleep, another of those most glorious of gifts, comes on the heels of a decreased stress response, on the heels of the hard, hard work that facilitates how we respond to injury. It comes on the heels of acceptance and peace, and a rise in anti-stress hormones. To wake in the morning deliciously and deeply relaxed, to feel at one with your bed, to stir with gratitude and gentle anticipation of the new day, these are not things to be taken for granted. They’re truly not, though we tend to, until they’ve become elusive for one reason or another. 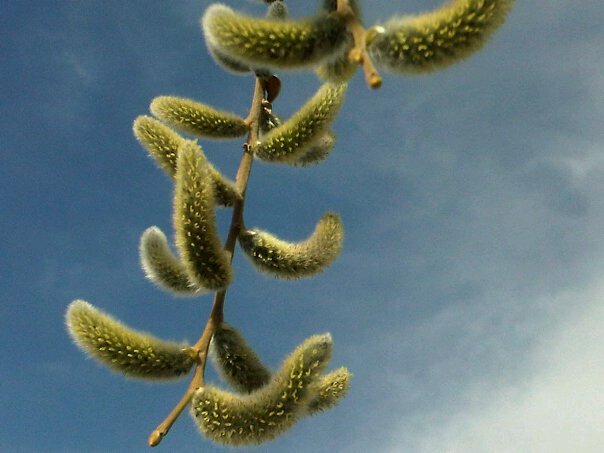 What just may have the potential to bring spring, that return to the budding of new life, can be many things, but it often involves persevering through something that is utterly exhausting. It involves a stanching of the bleeding or weeping that has long been sapping our energy, leaving us depleted and anxious and paralyzed. There are many levels to this, in my experience: Insight into the origin of the wound beneath the weeping, yes, but insight that must finally translate into wisdom, a deeper knowing, right down to the DNA of our cells. How this takes place is a little mysterious to me, but I do know there are many avenues to this transformation, and many key ingredients. Key ingredients include courage, patience, resolve. The willingness to take risks. Investigation into the reasons we have lost our resilience, or voice, or ability to take action. It involves refusing defeat. It involves accepting that which cannot be changed at this particular moment, but determinedly pursuing happiness nonetheless. It involves knowing our essence is indestructible, no matter how injured or fatigued our body and psyche may at times become. Change of this sort ends up changing us chemically also, at the level of neurotransmitters and anti-stress hormones, and physically, in the new paths our neurons forge. And I believe the reverse is also true—the raw materials of neurotransmitters and anti-stress hormones must be present to work synergistically with the psychic ingredients to facilitate the process of healing and deep change. Once we’ve persevered through this process, and not given in to fatigue or the temptation to take the easier path, we begin to see more clearly. We become less vulnerable to further injury. We become less naïve, stronger, more creative and resilient. We remember again how to nurture and affirm ourselves. We counter negative messages with messages that though we are imperfect, we’ve been devoted and given our best. We take back much of what has been lost. We are no longer caught off-guard by the thieves within our own psyches, nor by those events and people around us bent on putting our lights out. We begin to register their presence early enough to take a different path, one bordered by tiny buds of promising new growth. I’m so honored and happy to have been given much love through the winter, and to welcome spring again, and to be on this path with a small but brilliantly shining tribe of human beings. Good morning, all you lovelies, it’s me here today, just me, straight up, to answer the question I am (perhaps in response to some dark kinds of posts recently?) being asked a lot lately—are you okay? My answer is yes, I am, most definitely. Yes, even though some of those dark posts were about me, or at least partially about me. And yes, even though I have a million tiny shards of something running through my veins today, thanks to my lovely and strong and fearless massage therapist, who yesterday broke up and dislodged the giant slabs of concrete at home in my deepest muscles. And yes, even though, for me, alone often feels lonely, which is unpleasant. And yes, even though having danced with my mortality didn’t exactly leave me, as it does some, nothing but hap-hap-happy and grateful to be here. And yes even though I have this winter, at the urging of some brightly shining wise women and in defiance of our culture of positivity, been spending some significant time visiting the desert, collecting my own bones, listening for that new song that might more fully flesh them out again. The desert’s barrenness may not be terribly inviting at first glance, true. Visiting may initially induce feelings of panic, as we gain awareness of just how many of the old dreams lie there buried in the sand. The desert may well deliver on its promise of devastating truth. But despite the dark cold nights, it is vast with potential, and filled with the brightest light, and tiny and resilient life. Its unique intensity, away from the busy and anesthetized mundane we mostly live in, can enrich in the most surprising ways. It can give us ears to hear the humming of the universe again, that vibration that sustains our breath and being and stokes the fire within. Anesthetizing has its place, true. Reality can be intensely uncomfortable, heartbreaking even. But wading in from time to time can yield new muscle, inspiration, action that involves a little less spinning of our wheels. I have been hanging out here in hopes of scurrying for cover a little less, more fully finding my stride again. Not that I’d want to go to these arid places of black cold nights entirely on my own. Finding the sage willing to walk alongside for a period of time, and the healer in possession of hands and eyes that see beneath the surface of the skin is essential. These amazing human beings, vibrating with essence and energy gleaned from their own sojourn in the desert, will, if we can avoid from running from their bright light and power, impart a portion of it to us. For this I am always deeply thankful. So again, I’m fine, truly. The life I’m finding here, though perhaps less visible and smaller and quieter than that of the jungle—initially hardly even perceptible—is tiny and vibrantly strong, humming with just the intensity my bones need. This will resonate with some of you, not at all with others, either of which is completely fine. I am, literally at the moment, having a cup of tea, and should you feel so inclined, would love to hear from those of you for whom it strikes a chord of recognition.